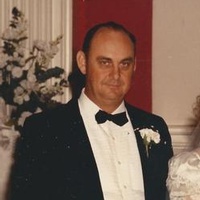 Winston E. "Wink" Adams Sr.
Winston E. "Wink" Adams Sr., 75, a native of Bath County, VA, and Peninsula resident most of his life, passed away unexpectedly on Monday, August 11, 2014. He retired in 1993 as a Civil Service Electrician at Ft. Monroe after 27 years. He was an Army veteran; a member of Poquoson American Legion Post 273; loved vegetable gardening; and was an avid hunter. Wink was preceded in death by his father, Eugene Adams; mother, Lillian Pennell; and sister, Loritta Hogge. He is survived by his wife of 50 years, Jean Adams; two sons, Byron St. John and Winston E. "Wink" Adams Jr.; a daughter, Gwen Cavagnaro; a brother, Alvin Adams; a sister, Jean Neal; five grandchildren; and one great-grandchild. The family will receive friends Thursday, 10-11:00 AM, at Claytor Rollins Funeral Home, Poquoson, immediately followed by a funeral service in the chapel there at 11:00 AM by Rev. Milford C. Rollins. Burial will follow at Peninsula Memorial Park, Newport News, with military honors. At other times, the family will be at the home. Memorial contributions may be made to the Poquoson Volunteer Rescue Squad, P.O. Box 2099, Poquoson, VA, 23662. Online condolences to claytorrollins.com .